Nike’s Vapormax 95 silhouette is the latest in a long line of Swoosh-inspired models that sit atop a Vapormax outsole. Having already debuted in an original “Neon” colorway, the hybridized model is set to take on another original Air Max 95 colorway, Slate. Its midfoot racing stripes call upon numerous shades of blue in a gradient pattern that are offset by hits of white throughout the rest of its upper. 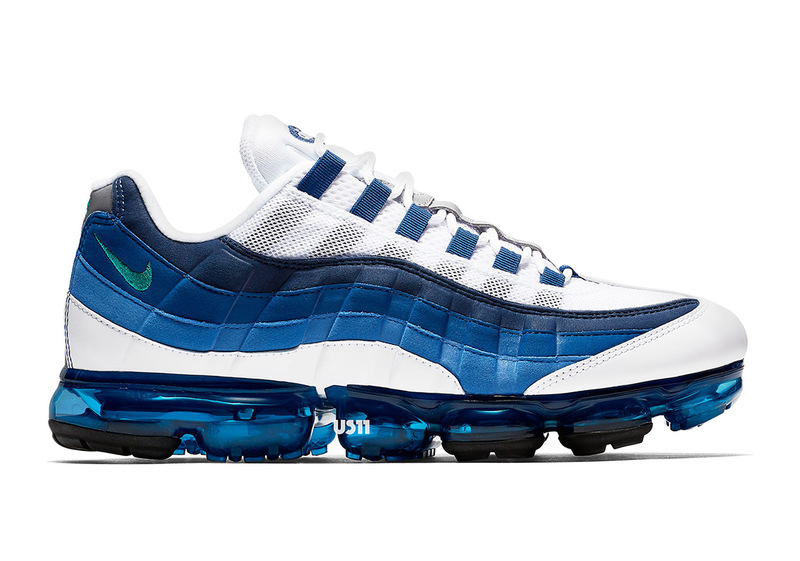 It’s Air bubbles utilize the same array of hues, creating a nostalgic Air Max selection that will undoubtedly excite Nike fans both new and old. Pairs are expected to arrive at NSW retailers on September 6th, so peep a first look below and tell us where you think this silhouette ranks against other Vapormax-infused models.